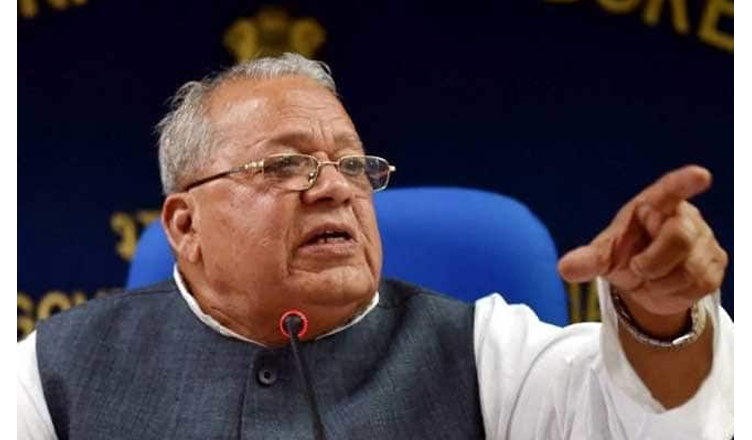 While campaigning for Faridabad Bharatiya Janata Party (BJP) MP Krishan Pal Gurjar in Haryana, Union Minister Kalraj Mishra on Sunday said that it had it been his state, he would have shot those creating problems. Mishra was referring to people who were raising slogans against Gurjar. Mishra’s comments didn’t go down well with Congress spokesperson Randeep Singh Surjewala who said that the former’s statement reflected the violent mindset of the saffron party.